Economical non-indicating, low cost, precision bulb and capillary control. Dual temperature dial display in degrees °F and °C gradients. 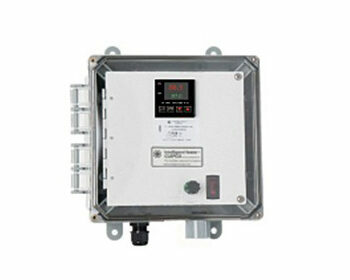 Nema 4X style gasketed corrosion resistant enclosure. • Temperature accuracy of ±4°F (2.5°C). 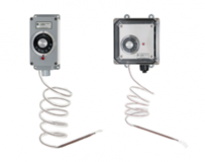 • Low cost precision bulb and capillary control – Field Calibratable. • Dual temperature dial display in degrees °F and °C gradiants. 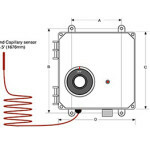 • Capillary bulb sensors is 5.5 foot (1.5 meter), jacketedin PFA Teflon® for ultimate chemical protection. • Combination control models offer switching capacity from 30A to 150A, 240V to 480V, other voltages available (Consult factory). 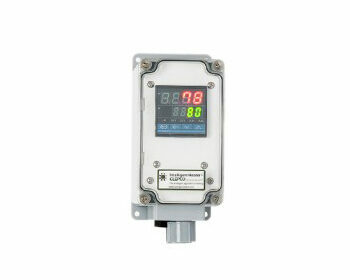 • Gasketed enclosure, combination models have clear cover with NEMA 4X style enclosure. 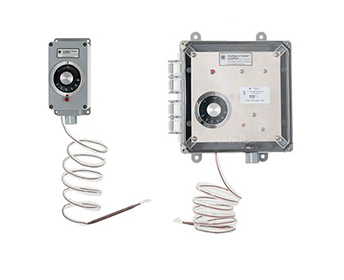 • Corrosion resistant plastic enclosures. 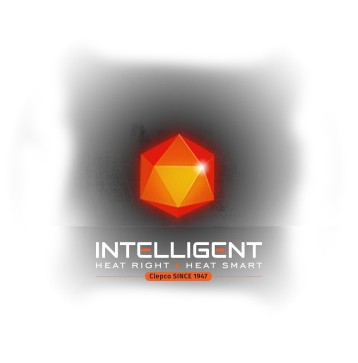 • Replacement temperature sensor bulb and capillary available. 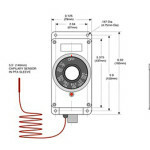 • Agency Approvals: Mechanical control module is UL, CUL & CE. Consult factory for up to date Safety Agency Certifications.